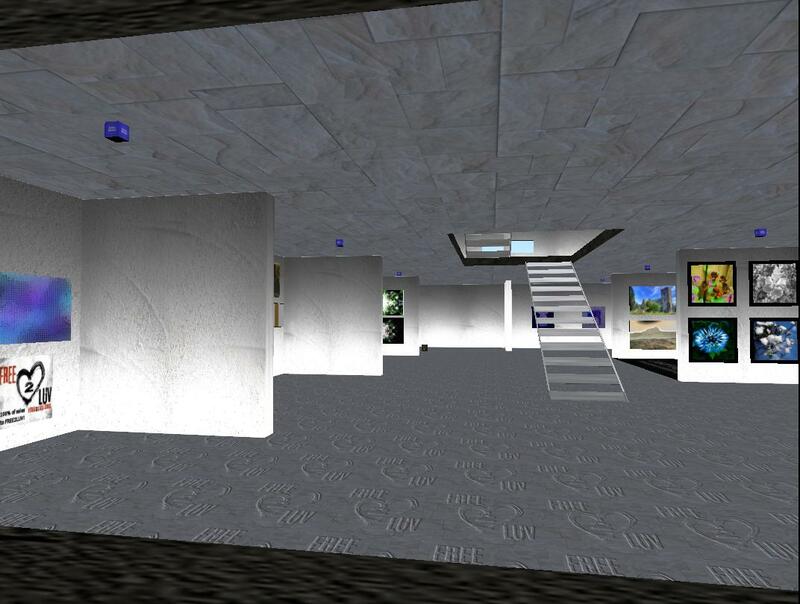 I have come to the conclusion that I have been spreading myself a little too thin with so many projects in Second Life. I should be having more fun and working less. So with that in mind, I am closing this blog. Fear not, I will be around. Might even get more art done now that I have more time on my hands. It is fitting that I should close the blog just a day before my third rezzday. Three years as an SL blogger.. quite a ride. I am excited to find out what awaits me in the future. I am lucky to have found such amazing friends through SL. I have a family here. I am happy and content. I feel like I can stand on my own two feet in a way I may not have been able to when I joined, end of July, 2010. I love seeing people flourish in what they do. The creativity I see every day in SL is very inspiring. I take on projects because I love building and creating as well as seeing what other people do. But one can not do everything all the time. So it is time to move on. I wish all my readers the best for the future. Have a great August. This lovely pattern on the dress made me want to revisit Indigo Aviary. It is as beautiful as ever. A lovely place dedicated to all kinds of birds. Have you seen This Trilogy of Poetic Narratives, the beautiful Machinima by Bryn Oh? Beginning with The Daughter of Gears, followed by The Rabbicorn and ending in Standby, the Trilogy is a breathtaking feat of imagination, narrative storytelling and artistic vision. Produced with the help of a grant from Ontario Arts Council and hosted by IBM, this project shows, what amazing things one can do with and in virtual environments. The story is also available as a book. 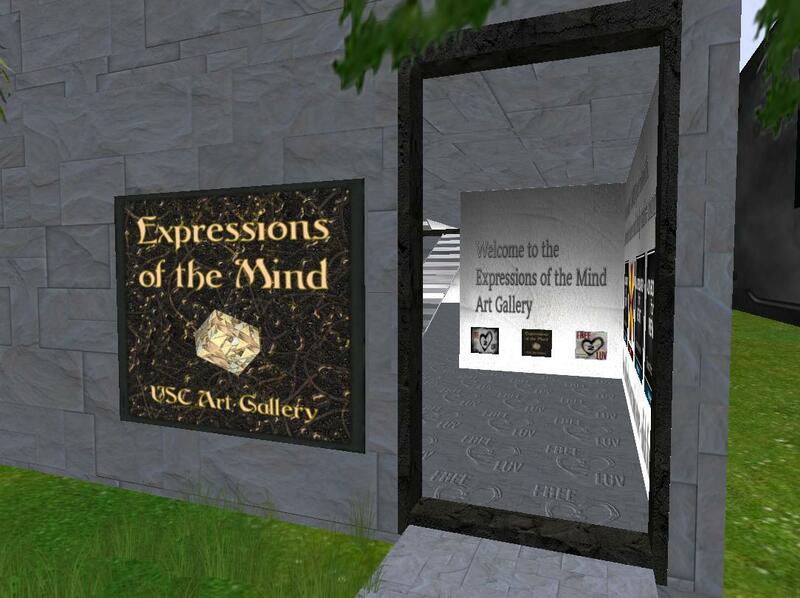 Expressions of the Mind Art Gallery has a new location and new build. 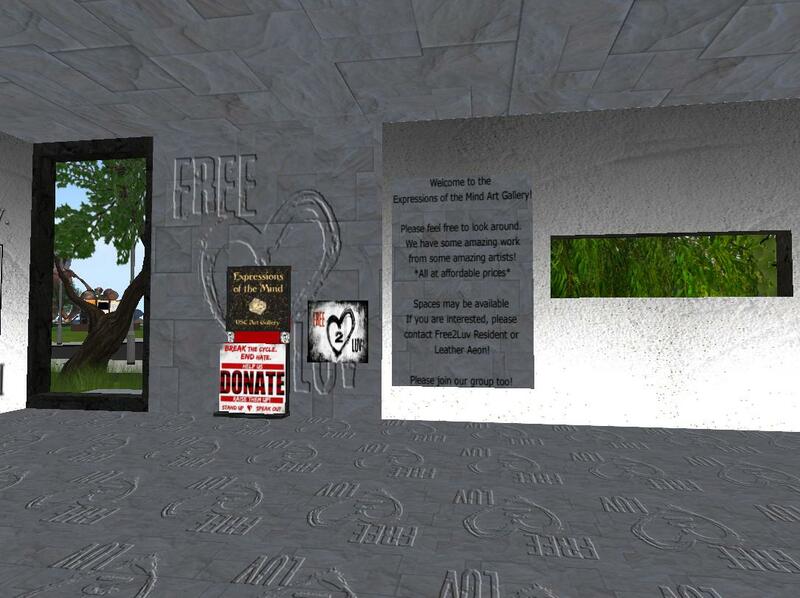 The charity Free2Luv And USC Textures are working together to house a great selection of art, to run the gallery and to promote it, and of course to spread word about the important cause. 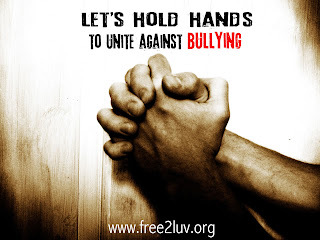 Free2Luv is a charity working to promote kindness and end bullying. Read more about it from the official website. 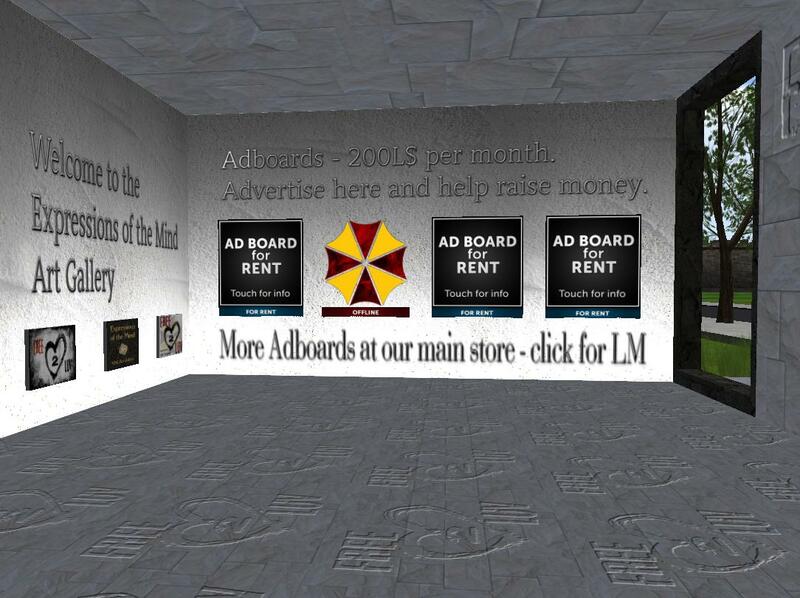 Leather Aeon, manager of USC Textures Tomb and sim, is an officially recognized representative of the charity in SL. See his "extraordinary peeps of the week" profile on their website. (Scroll down). The gallery has only been up for a couple of days and the first floor has already been rented out to talented artists from around the grid. Visit the gallery soon and contact Free2Luv Resident for further details on renting your own space. Avatar on SL. Artist, blogger, designer, avid reader. Love to dance, with or without music. This blog is a collection of moments in time, random musings, art, things I find inspiring. Feel free to follow me. I love comments. This blog is not a fashion blog and I am not planning on joining fashion feeds. I do try to write down details of what I am wearing, though and may use items sent for me to blog from time to time. Anything used in this blog is done so to support the content and it's creators. No copyright violations intented. If you see anything of yours and want it taken down, let me know.